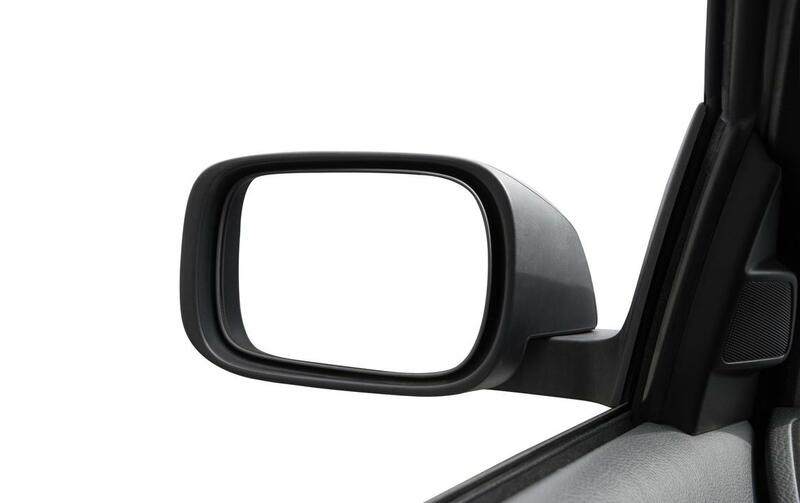 Adjust Car Mirrors Effortlessly. . . In only a few seconds - with our electric mirror actuators. Actuators are used for the electronic adjustment of car mirrors. The ones designed and produced by the EM Kunststofftechnik GmbH provide you with a high-quality product at a competitive price. Both models have been developed to ensure an uncomplicated and easy installation. The 3-point-attachment guarantees a solid connection of actuator and mirror base. The electrical connections of both adjustment units are compatible with each other. Apart from that, they allow an infinite adjustment of mirrors. Once the mirror reached its endpoint, this is signalled by a clicking sound. Both models meet all conventional EMC standards. Thanks to their universal design, they can be used for an almost unlimited range of purposes. With the P7011 actuator you get the best value for money. As the product is developed and manufactured in Germany you can rest assured that it is of excellent quality. This particularly strong mirror actuator has a heightened durability and resilience. The extraordinary robustness of the P7001 has been proven by years of successful practical application. Therefore, it is the ideal product for particularly demanding conditions. See for yourself that our products are perfect for your demands. I’m always happy to help you.